This is a gorgeous mirrored crystal tray. 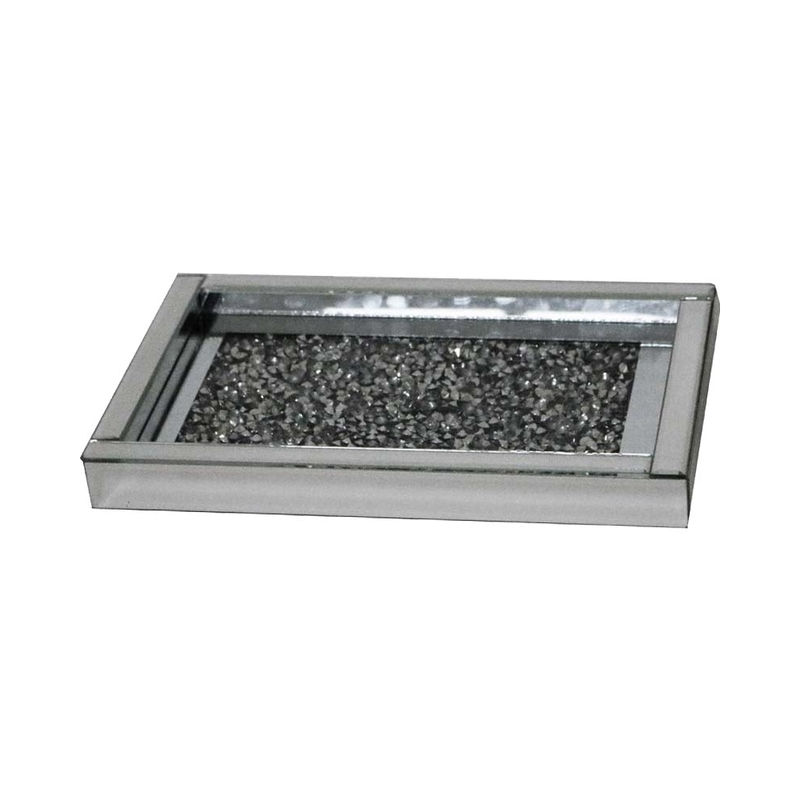 Its such a beautiful home accessory that is covered in crystals to brings out that true elegance of the tray. This is such a beautiful piece that would be perfect for your home to help slightly decorate your home. This tray is part of the mirrored Gatsby collection.